Two methods of superimposing analog data on the FM carrier wave that do not require digitization prior to transmission are pulse amplitude modulation (PAM) and pulse duration modulation (PDM). PAM consists of generating a high-frequency signal whose amplitude depends on the value of the data to be transmitted. PDM generates a constant frequency signal whose pulsewidth is proportional to the value of the transmitted data. The latter method of modulation improves the signal-to-noise ratio significantly over the PAM method because sharp spikes caused by the multiplexer switching from one sensor to another affect the amplitude of the signal but not the width of the transmitted pulses. When transmitting telemetry data, it is necessary for the telemetry transmitter to identify the data item corresponding to each segment of the bit stream. This is done by inserting a synchronization bit string into the telemetry stream on a regular basis, usually at the beginning or end of each repeating telemetry (multiplexer) cycle. This generally corresponds to the beginning or end of a minor or major frame of telemetry data (see Section 8.2). 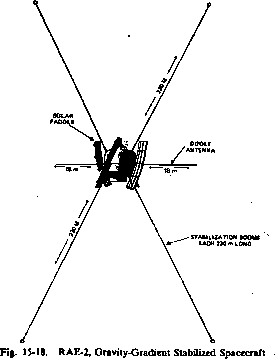 As described in Section 8.2, the sync pattern is usually 24 bits long and is unique to each satellite. The method of selecting the format of the sync bit pattern varies from one spacecraft to another. The important feature of all sync patterns is that they be recognizable; i.e., the correct position of each bit must be recoverable in the event of an occasional loss of one or more bits or the insertion of extraneous bits. This is critical because data items can be identified only by their position relative to the sync pattern. There are generalized sync patterns which provide optimal correlation properties, and display relative immunity to phase displacement by random pulses occurring immediately adjacent to the pattern [Stiltz, 1961; Jackson, 1953]. When the telemetry bit error rate is expected to be greater than 1 bit in a million, NASA usually specifies that parity bits be included in the telemetry stream, typically doubling the number of bits to be transmitted but affording an opportunity to detect bit errors. This process is called convolutional encoding. A convolutional decoder is required at the receiving station to detect and correct random bit errors. This reduces the raw bit error rate by orders of magnitude and effectively increases the signal strength by approximately 6 dB, or a factor of four in power. Convolutional encoders have been flown on far-Earth spacecraft such as RAE-2 (lunar orbit), IUE, ISEE, and IMP-6, 7, and 8.